Comments: Record crowd is 14,000 around the track for Chalmette vs. St. Augustine in 1978. 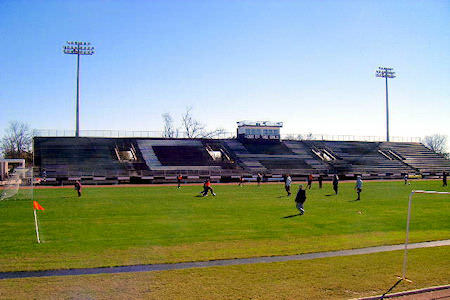 Stadium was renamed Bobby Nuss Stadium in 1991, after the former coach who passed away that year. Stadium was flooded with 10 feet of water in Hurricane Katrina.